Whether you're looking to divide a line or gather three together, the Nuke Performance X-adapter fitting lets you do this with minimum flow loss. 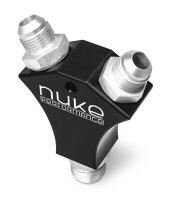 The body and all components are CNC-machined from 6082 aluminum alloy.  This allows the unit to stand up to the destructive properties of alcohol fuels, including methanol and ethanol, besides fuel, coolant, water, oil and air etc. 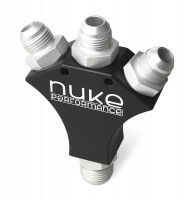 The design of the Nuke Performance X-adapter fitting gives a very clean and high performance appearance in combination with top quality and steady mounting. Delivered with 3x 3/4 UNF to AN-8 and 1x 3/4 UNF to AN-10. With other fittings AN-6, AN-8 or AN-10 connections can also be made.